Two Young Women Artists Share the Main Gallery During February at the Ocean City Center For The Arts - Eat. Drink. Buy Art on Delmarva. Although both women were born in Pittsburgh and approach art in similar ways, they did not know each other until Rina Thaler, executive director of the Art League of Ocean City, introduced them for this show. They have since become friends. Megan Burak of Berlin is a contemporary realist painter working mostly in oil. Born in Pittsburgh, she moved to the Eastern Shore at a young age, attended Stephen Decatur High School, and earned a degree in art from Salisbury University. 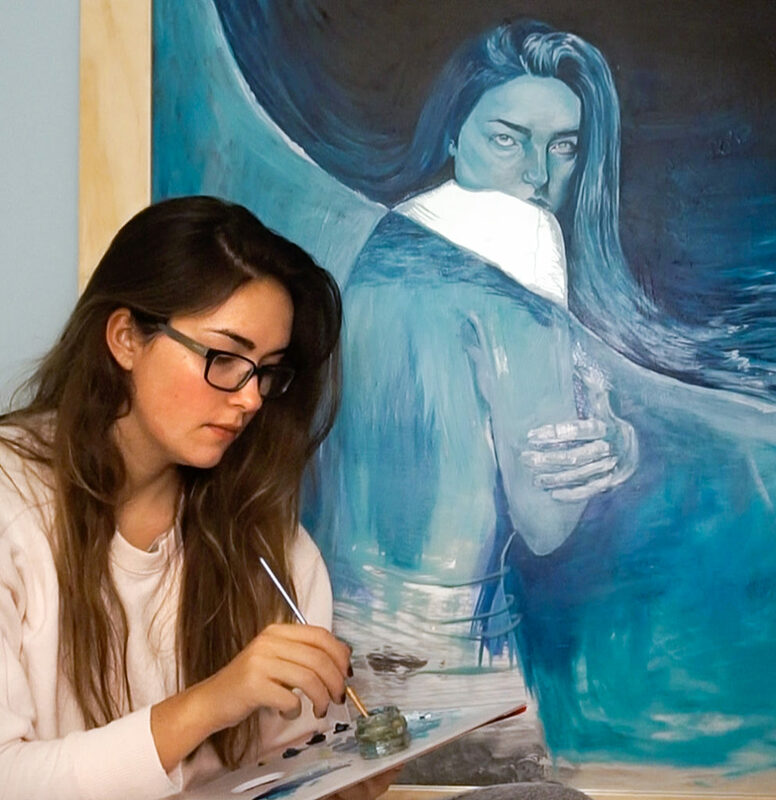 Burak fully immersed herself in art during her time at SU and began doing commission work almost immediately upon graduation. Her goal in creating a painting is to evoke an emotional response from the viewer. Technical skill in her craft makes Burak’s paintings close to super realism. Halie Torris was born and raised in Pittsburgh, attended Seton Hill University where she majored in graphic design, and recently moved to Ocean City. She visited the beach every summer with her family, and, when she began to draw and paint, the ocean became her preferred subject. Common themes within her work are loneliness, love, independence, power, isolation, and truth. Torris believes this show was inspired by her relocation to a new home, creating an identity shift that she is currently experiencing and will experience throughout her life.